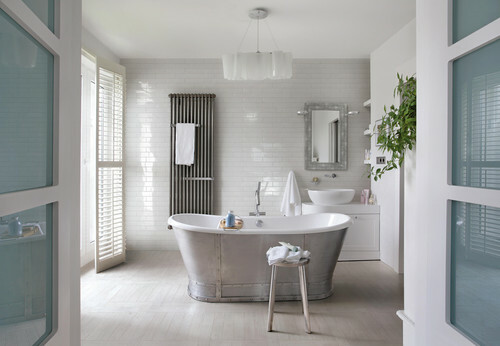 The bathroom is increasingly becoming an area of the home that people are looking to make a statement. The design, theme and style of a bathroom can reflect the owner’s personality or a building’s overall theme; they can also be functional, practical or a luxury statement. When designing your dream bathroom as you explore bathroom photos, you should consider the all new Burlington bathroom fixtures range. Trends and style changes come and go from time to time, recently this change has seen an amazing resurgence of Victorian and Edwardian vintage bath designed products. 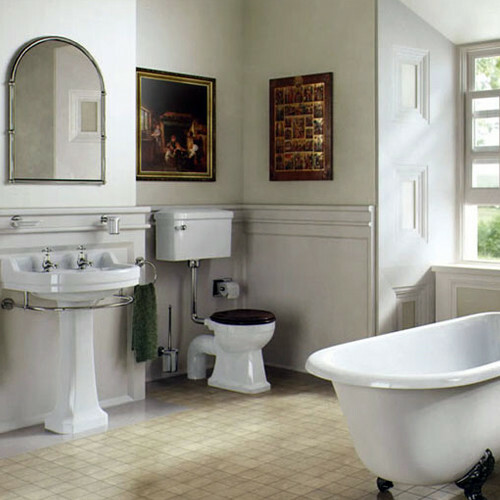 During this resurgence, Burlington bathroom has firmly established itself as one of the leading designers and manufacturers of “period” and “traditional” vintage bathroom products. Victorian Plumbing are delighted to add the Burlington bathroom fixtures range. 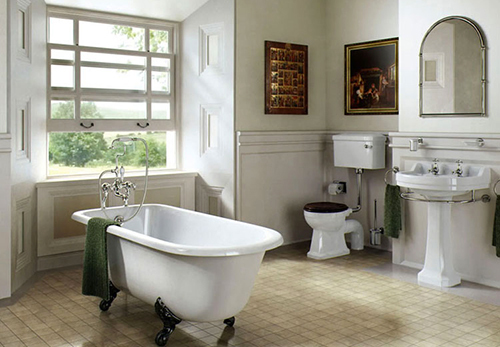 With the popularity of period drama series such as Downton Abbey featuring grand homes, Burlington’s bath range is designed by their in-house dedicated team who are totally committed to keeping an authentic “period” design throughout their bath fixture range. 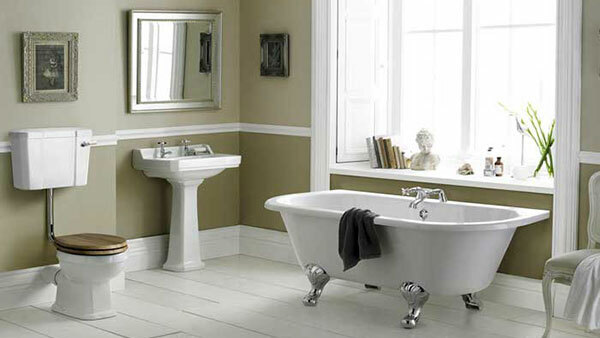 Burlington’s range has a wide range of different vintage bath fixture styles available including – Slipper, Windsor, Standard, Showering tubs to name but a few. The Burlington Bath’s bathroom fixtures range, including the Arundel bath, has slender Edwardian bathroom lines, sharp geometric curves which are simply adorable, whilst the beautiful curvatures and smooth glossy finish of Blenheim bath with traditional chrome legs makes it an elegant freestanding bath fixture. Burlington taps or faucets are all available in a high quality stunning chrome finish. The new range has several different designs of tap available – Standard taps, Mono mixers, Bath/Shower mixer’s, Shower valves are all available with a selection of different designed tap heads. The classic Edwardian bathroom design of the Burlington tap range brings a touch of elegance to the bathroom helping create the desired period bathroom look. 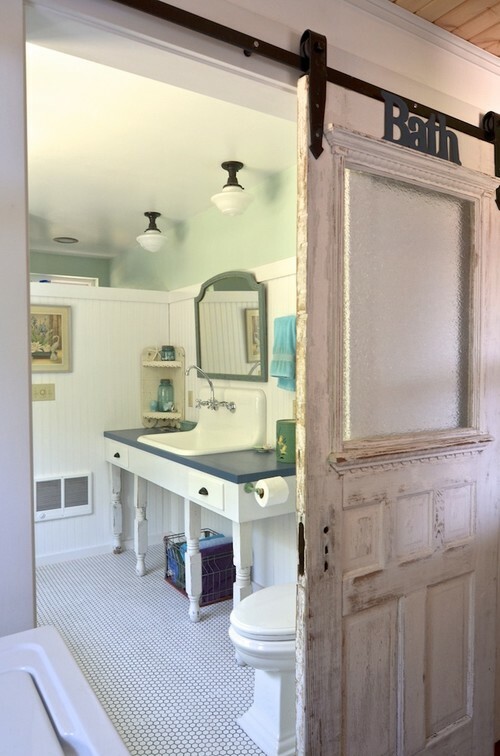 The toilet is a bath fixture that historically has been overlooked within the bathroom. 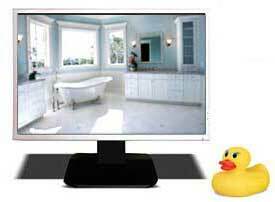 Burlington Bathrooms has introduced a wide variety of Traditional bathroom toilets that can accomodate a Edwardian bath design theme. 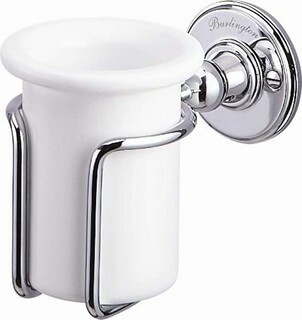 The Burlington Close Coupled WC, Burlington High Level Toilet, Burlington Low Level WC and Burlington Regal Medium Level Toilet are all new additions to Victorian Plumbing and are quickly becoming bestsellers. All are beautifully designed, promise outstanding quality, sense of style, longevity and excellent performance. The toilet seats are not included as standard, this gives you the option of choosing from Burlington Bathrooms range of traditional toilet seats. 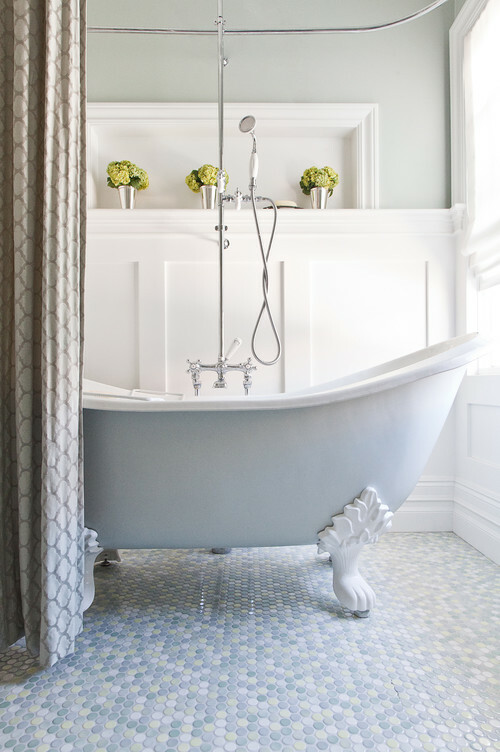 An Edwardian style bathroom can give you the same feeling of quiet opulence as one of your favorite period dramas. Have limited bathroom space? 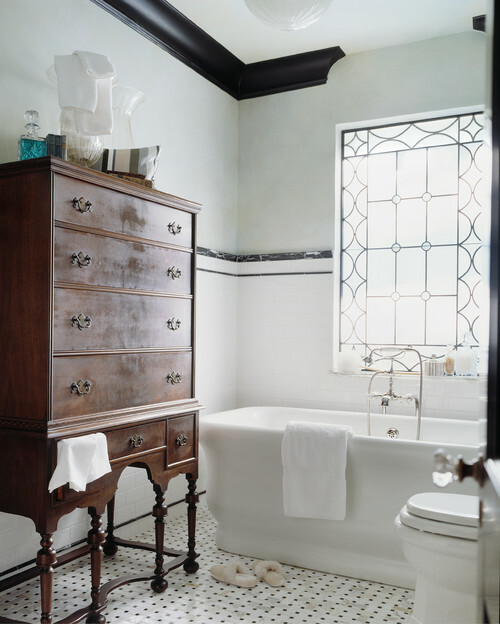 Don’t worry, cloakroom, bathroom and inset basins create a bathroom design with turn-of-the-century influences in a small area. To make a grand vintage bathroom statement, Edwardian style pedestal sinks or stand-alone furniture with basins are the best options. 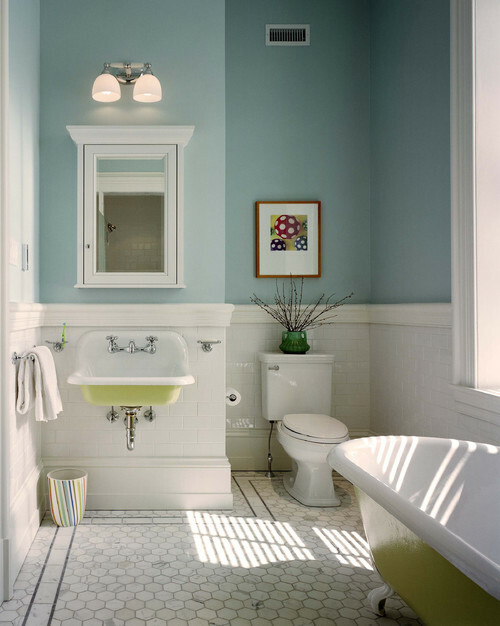 And to put the finishing touches to your period bathroom suite, add a splash of eccentric color. Many bathroom fixtures are interchangeable and color matched, so you can spend an age choosing your ideal bathroom from many ranges. 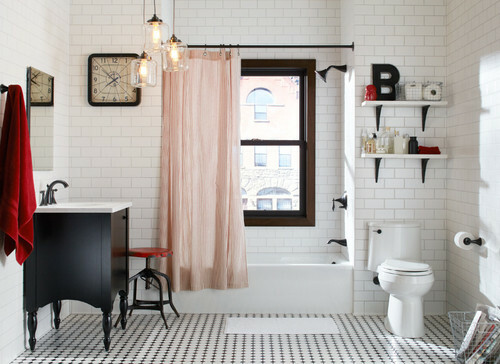 A black and white tile bathroom has the qualities of cleanliness and cheerfulness and at the same time is decidedly decorative. This color combination, that could lend an effectively cheerful air, was often delegated to all-year-round sun rooms, foyers or breakfast rooms in summer homes. 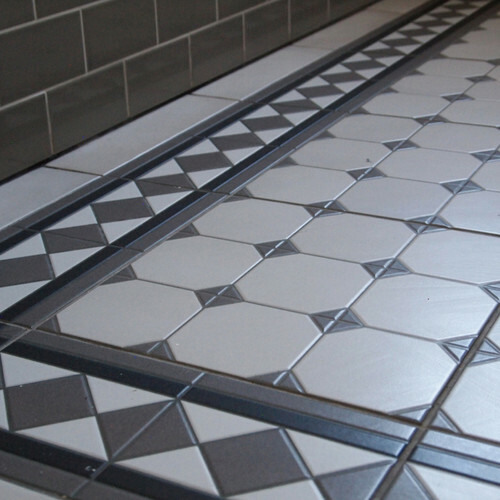 By the early 20th century, the popular black and white tile bathroom presented the greatest demand for wall tile and gave the white glazed tile its greatest boom. Wall sconces are the perfect illumination fixtures for your vanity area. If you are looking for a vintage bath lighting fixture that will give your bathroom a touch of charm and soft gentle light, then a wall sconce will fit perfectly into your interior design. You can bring back the ambiance of Edwardian bathroom lighting with available recreations of these traditional sconces. 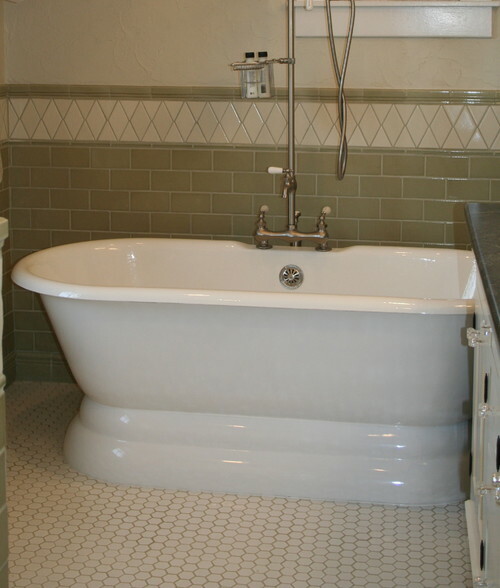 Traditional Bathroom by Philadelphia General Contractors Hanson General Contracting, Inc.